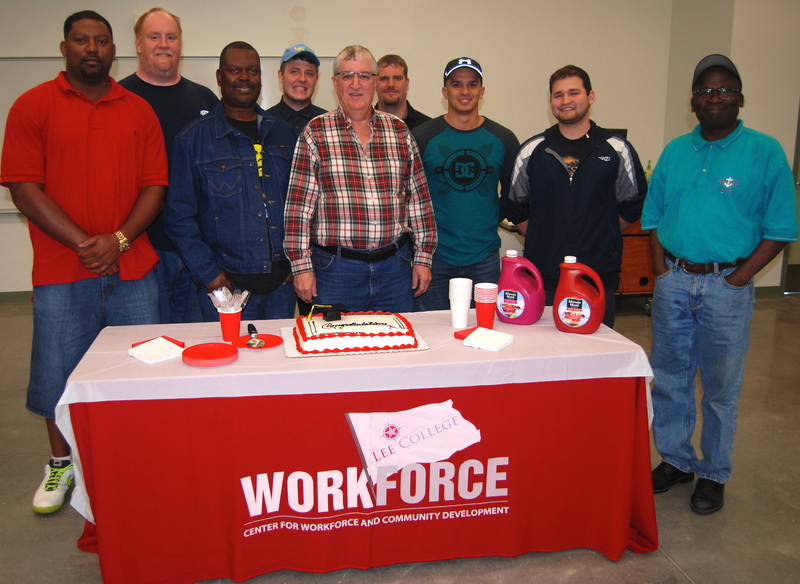 BAYTOWN, TX — Kevin Dorsey was out of work and looking for a way to better support his family when a local employment resource agency pointed him toward the Center for Workforce and Community Development at Lee College, which offers an innovative program to help train the long-term unemployed and underemployed for petrochemical careers. Through funding from the H1-B Gulf Coast Ready to Work Grant awarded to the college by the U.S. Department of Labor, the workforce center is providing industrial crafts training in several high-demand and high-growth fields: welding, electrical, millwright, instrumentation, pipefitting, process technology refresher, first-line supervisor and project management. Students learn from instructors with years of industry experience, using the latest tools of the trade and cutting-edge technology found in the real working environment. Tuition in the H1-B Ready to Work program is free to eligible participants, and those who successfully complete the training earn credentials from the National Center for Construction Education and Research (NCCER) recognized by companies throughout the petrochemical and construction industries. 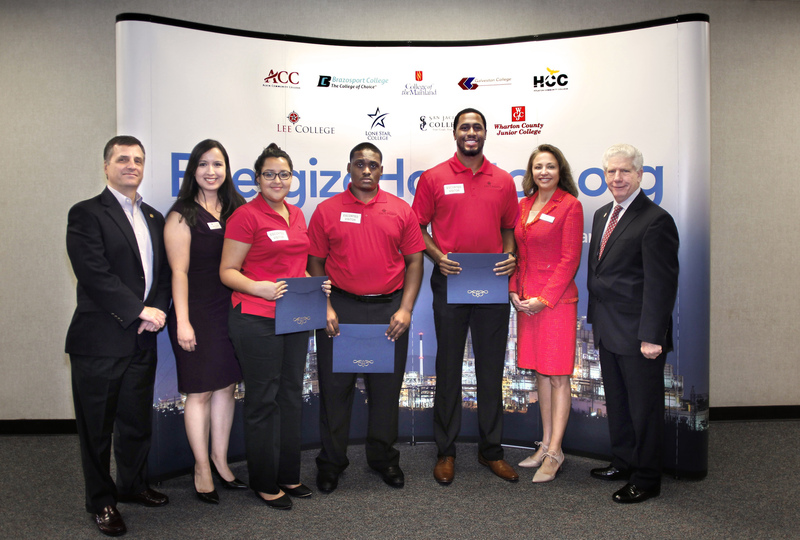 When the first graduates from the H1-B pipefitting class received their certificates in April in a ceremony at the recently opened Lee College McNair Center, Dorsey was among them — and more hopeful than ever about his chances to find stable and well-paying employment. 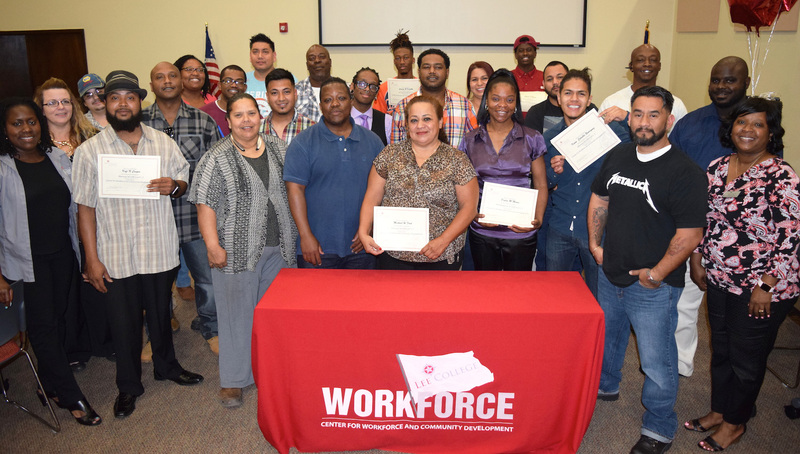 Debi Jordan, executive director of the workforce center, told the graduates that Lee College’s industry partners are awaiting candidates with the strong work ethic, knowledge and credentials they gained through completion of the H1-B Ready to Work program. 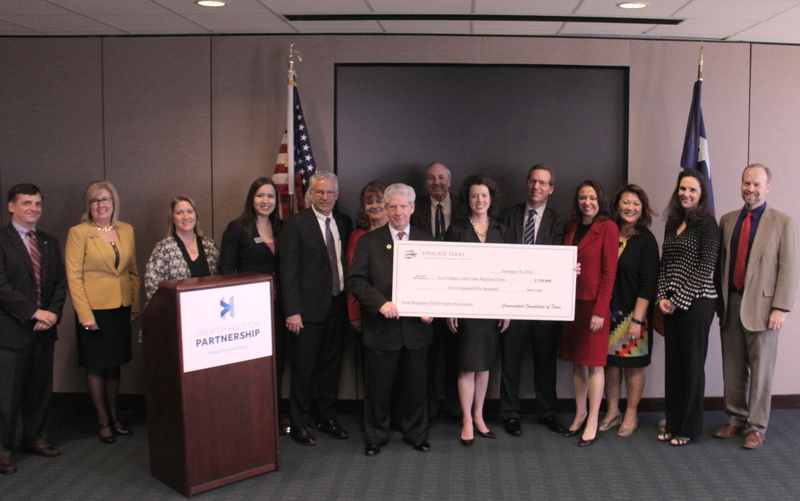 For more information about enrolling in the U.S. Department of Labor H1-B Gulf Coast Ready to Work Grant program at Lee College, contact the Center for Workforce and Community Development at 281.425.6311 or visit www.lee.edu/workforce/ready2work. BAYTOWN, TX — The Lee College McNair Center now has an additional 50,000 square feet of instructional space where students will receive hands-on technical training with the latest technology to prepare for high-paying careers in the growing petrochemical and construction industries. 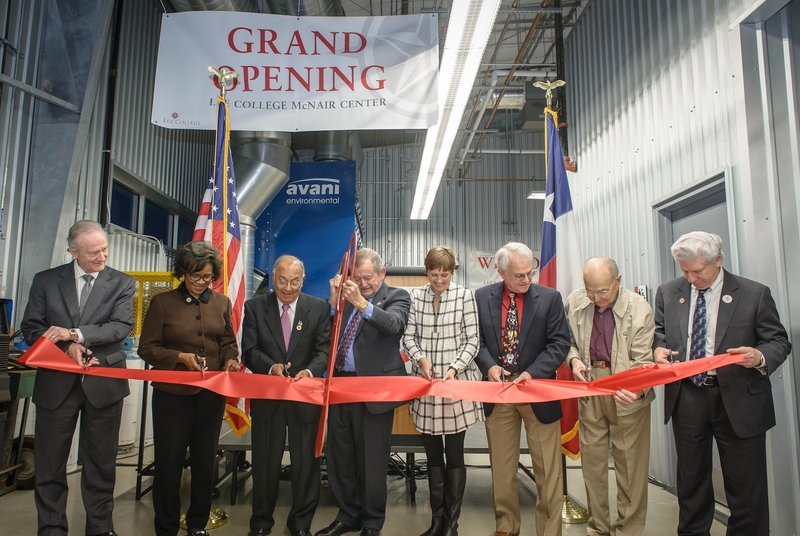 Lee College celebrated this month the grand opening of the newly expanded McNair Center, where students will receive hands-on instruction for well-paying petrochemical and construction careers. Pictured (l-r): Regent Keith Coburn, Regent Susan Moore-Fontenot, Regent Pete Alfaro, Regent Ronn Haddox, Regent Judy Jirrels, Regent Weston Cotten, Regent Wayne Gray and Pres. Dr. Dennis Brown. More than 100 community members, elected officials and industry leaders joined Lee College this month to celebrate the grand opening of the $12 million McNair Center expansion, which was completed in January and now houses programs in machining, millwrighting, welding and pipefitting. Student ambassadors led attendees on tours of the facility before Pres. Dr. Dennis Brown and members of the Board of Regents gathered to cut the ceremonial ribbon. Welders, pipefitters, millwrights and machinists earn a median salary of $18-24 per hour, and have the potential to earn as much as $75,000 or more annually with a two-year degree. Students at the center will learn within a modern industrial environment closely modeled after what they will find upon entering the workforce. Course curricula are built around standards set by the National Center for Construction Education and Research (NCCER), allowing students to earn industry-recognized credentials that make them more competitive in the job market. The McNair Center will also host daytime dual-credit classes this fall that allow high school students to earn college credits, and offer evening and weekend courses for working adults who want to pursue higher education while managing job and family responsibilities. The McNair Center expansion was funded through a bond issue approved in 2013 by 72 percent of voters. Brown credited the overwhelming support of the community, Board of Regents, local school districts, industry partners, elected officials and McNair neighbors for helping bring to fruition the shared goal to create the premiere industrial and technical training facility in the region. “The McNair Center — and the students whose journey to a brighter future will take them through its new laboratories and classrooms — has given all of us a reason to be proud,” Brown said.